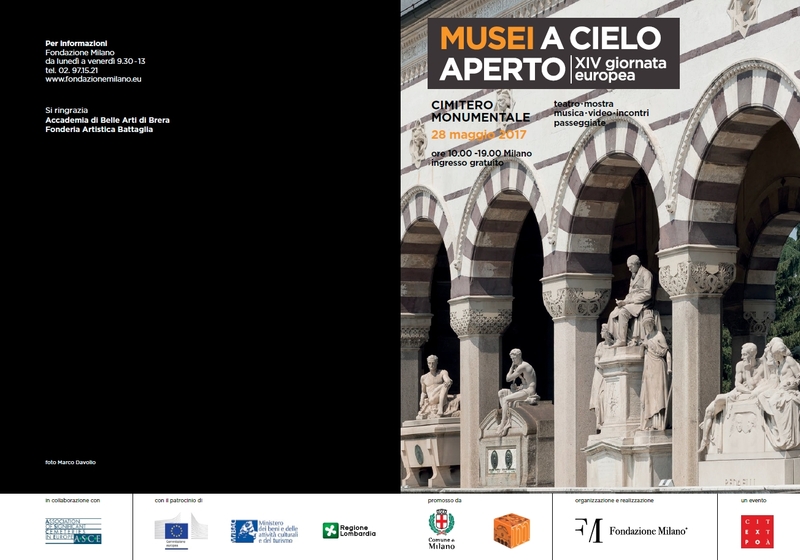 The Municipal Administration of Milan, in order to enhance and promote the Monumental Cemetery, has planned a series of events ''Monumentale: Musei a cielo aperto''. 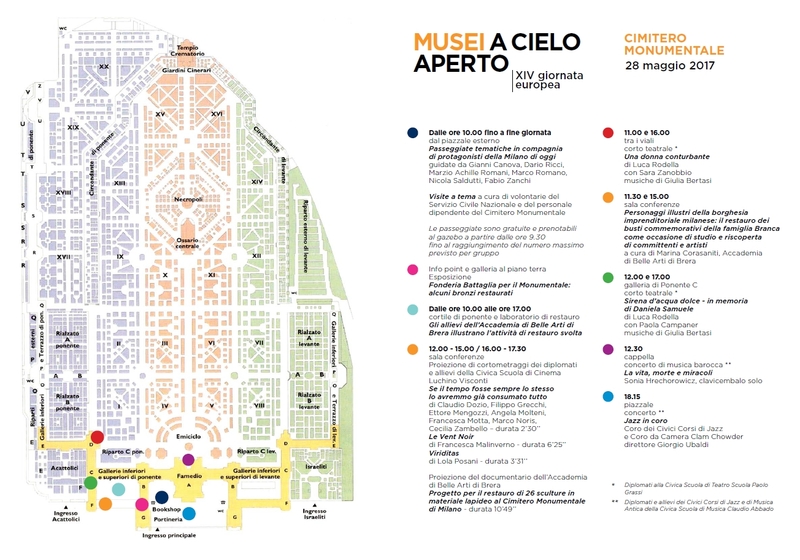 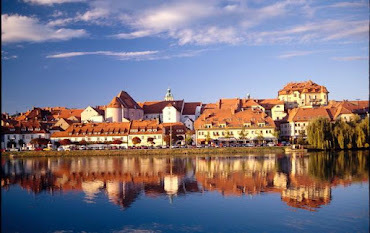 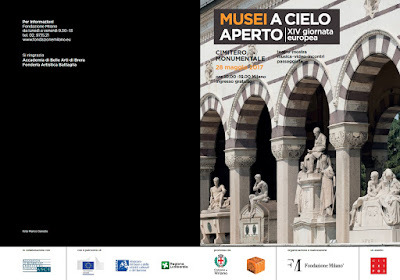 "Monumentale: Musei a cielo aperto"(''Monumental: Open-air museums'') will be carried out the last Sunday of every month. 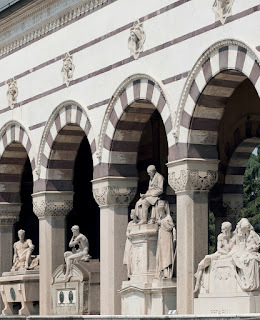 The organization will be cured by Scuole Civiche Milano Foundation. 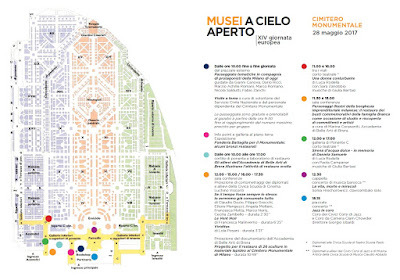 The first event will take place on the occasion of the XIV European Open-Air Museums Day, on Sunday May 28th 2017, from 10 am to 7 pm.